Let us know when your contract is due for renewal and we’ll get in touch closer to the time. How does sim delivery work? We deliver SIM cards daily between 9am and 11pm. We currently aim to deliver SIM cards to all customers in Dubai, Sharjah and Abu Dhabi, but some regional areas might not be accessible for us. If you already have a sim card, one of our drivers can come and activate it for you. Make sure you have your original ID to complete the delivery successfully.The first re-delivery is on us, but please be aware that if you cancel more than once there will be a small charge of AED 10 per re-delivery. How long does it take to bring my own number? When you sign up, you can request to bring your number from the app itself. It takes approx. 3 days to complete the transfer but don’t worry we instantly give you a temporary number once you’ve activated your sim card. Ensure your previous bills are settled for a seamless experience. 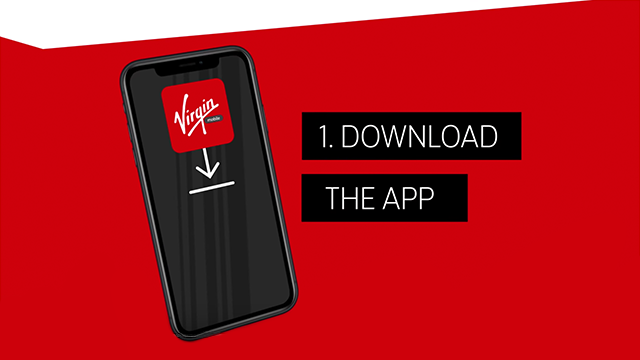 How do I pay for my Virgin Mobile plan? When you’re signing up on the app, enter your credit or debit card details. We’ll charge you for your first plan on sign up and thereafter, every month when your plan renews. You can even top up your wallet on the app and change your primary payment settings for your renewals.